The holiday season brings about a lot of hustle and bustle, travel, family gatherings, holiday shopping and a multitude of other events that go along with this time of year. 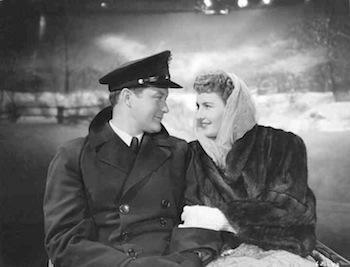 Along with all these things come holiday traditions, and there are many that are unique to each family: We always put up the Christmas lights on Thanksgiving weekend, go to midnight mass on Christmas eve and always open one present before we go to bed which is always a pair of pajamas. don’t shop locally very much anymore. There are just too many good deals online, I don’t have to fight the crowds or out of stock situations and honestly, there is a lot more variety online. Not to mention, we have family located from coast to coast so it is a lot easier to just have e-tailers like Amazon ship the gift directly to the recipient. Some of these new ways of accomplishing holiday tasks or traditions were changed intentionally, while others have just kind of crept up on us. When I was a kid, my brother and I always wrote our letters to Santa, addressed and stamped the envelopes then threw them in the mailbox. My kids, on the other hand, simply send Santa Christmas lists via email, and when I asked my 8 year why email and not just a letter, she exclaimed that email was a lot faster, emails don’t get lost at the post office and eliminating paper is good for the environment. How could I argue with that? 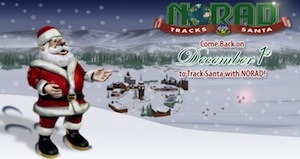 We also track Santa on the Internet all December on the internet via NORAD at NORADSanta.org. This enable the kids to get a bit of perspective about how hard Santa works all year and as parents we are able to sneak in a geography lesson as Santa traverses the globe. It seems the Internet has replaced some long time traditions which saddens me, but has also created new and exciting traditions that my kids can say they created when they have their own children. Because of the geographical distance between us and some of our family members, since the Internet has enabled the ability to video chat, it has made the fact that we can’t be together every holiday a bit more tolerable. While the Internet has made some of my traditions outdated, it has allowed the current generation to institute its own versions that they can foster over the years. Some people will say this is a bad thing and others will say it’s a bad thing, but in the end traditions come down to personal preference. Have any of your holiday traditions been eliminated by the Internet or has the Internet simply enhanced how you celebrate the holidays?